Registered Nurse - FT Weekend Hospice - Generous Retention Bonus at HCR ManorCare Inc.
As a Registered Nurse, you’ll be part of a team that plays a vital role in the lives of others. 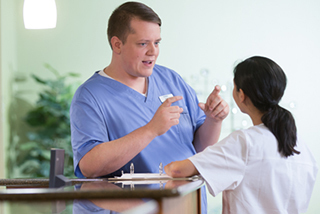 This is an ideal role for new graduates as well as experienced nursing professionals. Not only will you be empowered to assess patient needs and implement care, but we’ll look to you for nursing staff leadership. What does it take to be successful here? A strong work ethic. Outstanding observational skills. The ability to communicate with everyone in the HCR ManorCare family — and unyielding compassion to those around you. 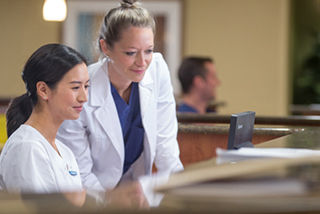 In return, you’ll enjoy excellent training, industry-leading benefits, and opportunities to learn and grow into Nurse Management roles. Have your weekdays off and only work weekends. Heartland Hospice a leading provider of hospice care is searching for an experienced RN to provide clinical visits/admissions as needed to our hospice patients in their homes. The hours of the position are 8am-8pm Saturday and Sunday or Friday 4:30pm-Saturday 8pm, Sunday 8am-8pm. Tell us what shift works for you! Either shift involves working 3 weekends/month. This role would involve traveling on the west side of Lake Winnebago and mileage reimbursement is provided. Responsible for the delivery of skilled nursing care and supportive services within the scope of the nurse's education and experience. Compliance with Heartland Corporate Standards and local, state, and federal laws, in an institutional setting, within the policies of the institution. Supplements nursing care of clients. In return for your expertise, you’ll enjoy excellent training, generous retention bonus at $10,000, competitive compensation, industry-leading benefits and unlimited opportunities to learn and grow. Be a part of the team leading the nation in health care. Interested candidates please apply online. A minimum of six months nursing experience within the past three to five years. 100% travel on a daily basis. Generous $10,000 Retention Bonus. Full Time Weekend On Call Position working Friday 4:30pm-Saturday 8pm and Sunday 8am-8pm or Saturday 8am-8pm and Sunday 8am-8pm - Work 3 weekends/month with 1 weekend off. Full benefit package offered. 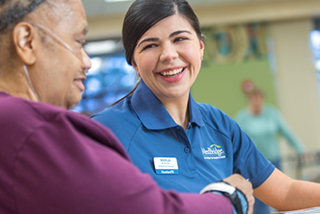 Consider joining the 15th largest healthcare system in the nation and the largest not for profit senior living organization for skilled nursing, assisted living and hospice care. Currently licensed as a Registered Nurse (RN) in the state and in good standing with the Board in which he/she will practice. Find out about the perks of working for HCR ManorCare.